Encourage healthy eating habits by involving kids in meal planning. Weekly meal planning makes preparing healthful meals as quick --- and nearly as easy --- as waiting for a take-out order. Cooking at home is better for your health and your pocketbook than ordering a pizza when you are short on time. Planning ahead also makes quick work of preparing easy, healthful breakfasts and lunches. Mix and match your family's favorite dishes and ingredients to create a stockpile of meal ideas. Build weekly menus before you shop and you won't find yourself dashing to the store for missing ingredients at the last minute. Jot down the meals you want to make next week before you make out your shopping list. Let kids help plan the menus by picking some of their favorite healthy dishes. Choose a variety of options for breakfast and lunch to keep kids from getting bored with the usual offerings. Plan meals that use more perishable items, such as fresh fish or herbs, for early in the week. 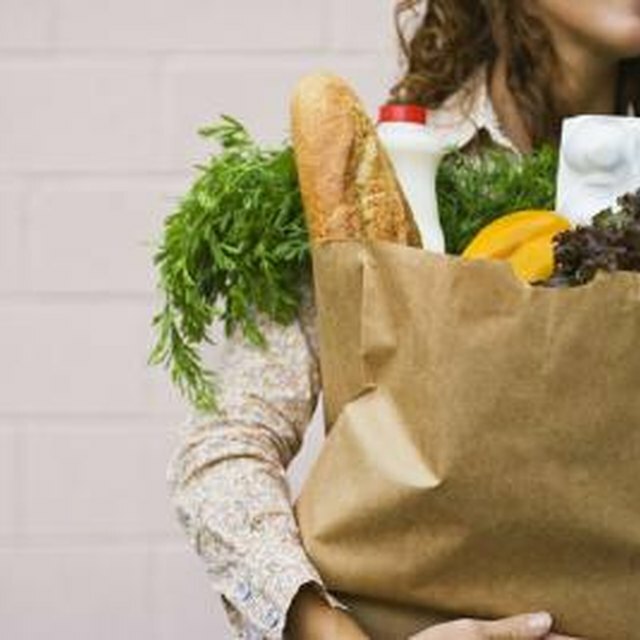 Think about ways you can use the same ingredients in different meals to simplify your shopping list. For example, a big bag of frozen, sliced peppers and onions supplies veggies for a stir-fry one day and a sausage-and-pasta skillet dinner another day. Take a look at your calendar and include extra-quick or make-ahead meals in your weekly planner for particularly busy days. Kids need to start the day with a healthful breakfast. Most days, they also need to get out the door in a hurry. Weekly meal planning helps take the guesswork out of what to feed your kids in the morning to make them happy and keep them satisfied. Include some protein in your breakfast plans, such as eggs, cheese, yogurt or peanut butter. Whole grains such as whole-wheat toast and oatmeal are filling and provide fiber. Add some fruit to round out the meal. Stock the freezer with make-ahead items, such as whole-grain pancakes, muffins and precooked sausage for easy, heat-and-eat breakfasts. To keep things interesting, serve other combinations such as peanut butter and jelly or grilled cheese sandwiches as a surprise for breakfast. Combine fruit and yogurt in smoothies or parfaits. Whether kids are at home or school, a healthful, satisfying lunch refuels them and gets them ready to tackle the afternoon. Cover the basics first; try to include protein, dairy, whole grains and a serving of fruit or vegetables. Planning a variety of hot and cold lunch items, and mix-and-match sides and snacks. Last night's leftovers, pasta, soup or cold sandwiches can take center stage. Add a piece of whole fruit or veggies and a single serving cup of dip. Serve milk to drink or include a serving of cheese, yogurt or cottage cheese. To quickly assemble packed lunches, stock up on convenience items such as string cheese sticks, applesauce cups and precut veggies. Invest a little extra time on the weekend or less-busy nights in some advanced preparation. Wash and chop vegetables ahead of time for more than one meal or for the whole week. Separate individual portions of meat and refrigerate for the next night or freeze for later in the week. If you are preparing a big meal during the weekend, combine some of the same ingredients into a casserole to freeze and reheat later in the week when you don't have much time to cook. Cook extra portions of meat, pasta, rice or vegetables, and use the leftovers for lunches the next day or in another meal later in the week. Stock your kitchen with convenient staples such as canned beans, tomatoes and broth, salad dressings and mixes, and frozen vegetables so that you always have them on hand. Dinner doesn't always have to be an exciting culinary event, but you don't want to fall into a rut of making the same things all the time. 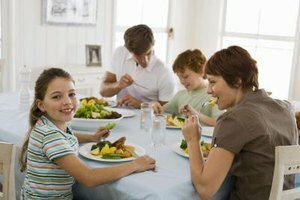 Make a list different types of meals that your family likes, such as pastas, soups, seafood, meat and potatoes, casseroles, main dish salads, stir fries, and sandwiches to use as a basis for weekly menu planning. Also plan for favorite types of cuisines, such as Tex-Mex, Asian or Italian. Use this information to compile a collection of go-to menus for quick and easy dinners. Mix it up so that you aren't cooking the same dishes each week.